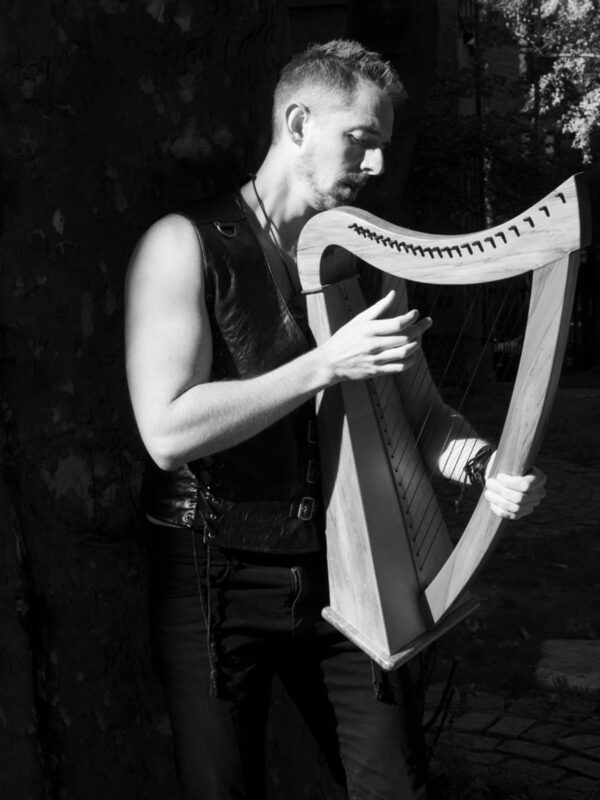 Writing medieval and fantasy-inspired music has been my passion for over 25 years. On this page, you’ll find examples of my works, and many free downloads. Sheet music and recording links for my original compositions, my Renaissance Dance arrangements and my transcriptions all are below. If you’re interested to discuss performance of these works, you can contact me. 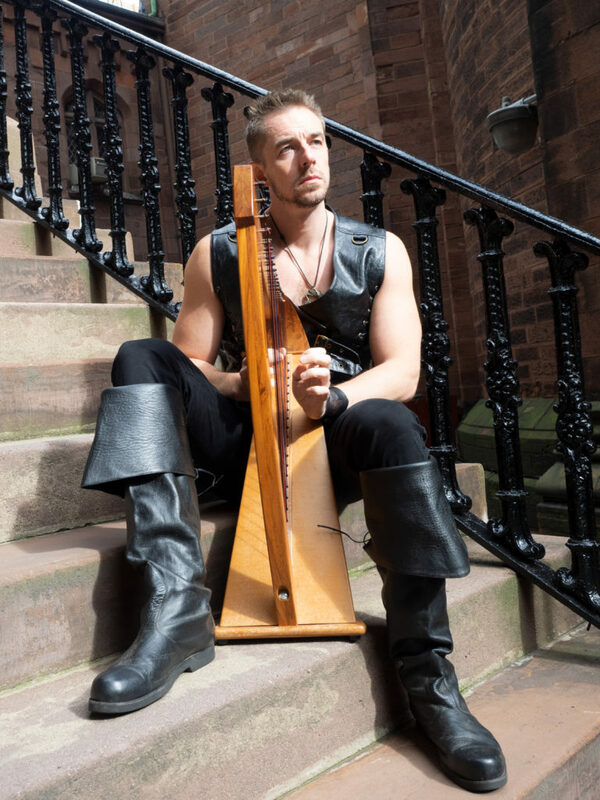 Using authentic medieval English lyrics and all new music which I have written, this critically-acclaimed album contains thirteen of my most well-known and widely-performed compositions. Around 600 medieval carol texts have survived, but only about 120 with their music. My compositions use some of the texts which survived from the time without their music, breathing new life into these beautiful, forgotten lyrics of the past. The music reflects the spirit of the medieval time in which the texts were written. States, United Kingdom and Australia, and have been broadcast by the BBC in the UK and by the ABC in Australia. All the sheet music from New Carols and Songs for Chaucer’s Pilgrims is available below for download, in medieval and modern English (translations by Peter Wilkin). Performers should freely arrange as they see fit, introducing instrumental and percussion parts, adding dynamic markings, transposing to suit available voices and utilising solo and chorus variations. I am very happy to discuss the performance of these pieces if you would like to contact me. I have published a number of other secular and sacred works, in medieval English, modern English and Latin, including a prize-winning setting of Psalm 33 from the Middle English Wyclif Bible, professionally published by Wirripang. Sheet music for a selection of my works is available below for download, and some live performances are available on my youtube channel and below. Performers should freely arrange as they see fit, introducing instrumental and percussion parts, adding dynamic markings, transposing to suit available voices and utilising solo and chorus variations. Many of the works are suited to female or male-voice ensembles. I am happy to discuss the performance of these pieces if you would like to contact me. A second album of my compositions is currently under development, intended for release at the end of 2020 – with a working title of The Lost Bards’ Codex. Many surviving Renaissance and Medieval dances have reached us with just a single line of music. I have arranged over fifty such dances for multiple parts. My arrangements have been published in Del’s Dance Book, often under my pseudonym Geoffrey of Exeter (which I use in the Society of Creative Anachronism). I’ve also published them below – all of the arrangements are free use for non-profit. If you’d like to use them as part of a profit-making endeavour, contact me and we can discuss.